Istanbul, 21st January 2016 /PR Newswire - After months of preparation, Turkey's largest and the world's 3rd largest furniture fair took place at the TÜYAP Fair and Convention Center, receiving visitors from all over the world. 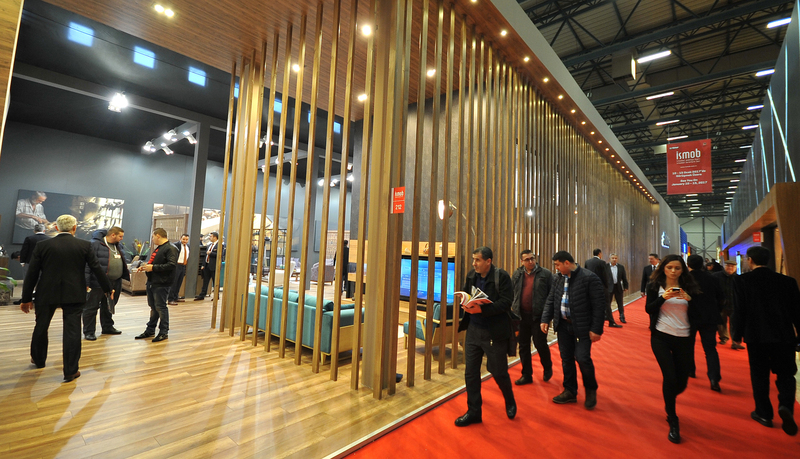 Professionals from over 100 countries visited İSMOB and provided a host of business opportunities, accounting for 25% or USD 750 million of the total export target of the Turkish furniture industry this year. Held with the cooperation of the Association of Turkish Furniture Manufacturers (MOSDER) and TÜYAP Fairs, the 12th Istanbul Furniture Fair (İSMOB 2016) opened at the TÜYAP Fair and Convention Center on Tuesday, January 12th with the attendance of the Turkish Minister of Economy, Mustafa Elitaş, and Chairperson of the Exporters' Assembly, Mehmet Büyükekşi. 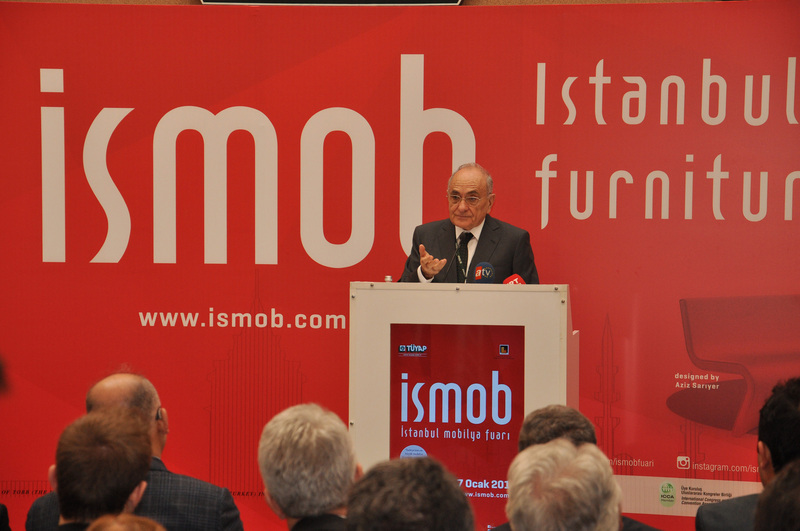 İSMOB was the first event to be held at TÜYAP in 2016, and accounted for 25% of the 3-billion-dollar export target set by the Turkish furniture industry, achieving 750 million dollars in business. Relocating to TÜYAP this year, the 12th Istanbul Furniture Fair - İSMOB 2016 received 30,100 foreign and 132.376 domestic visitors during the six days of the event, breaking a record in number of visitors. The fair gathered furniture professionals around the world from Europe to Asia, Middle East and Africa, and professional purchasing delegations from 37 countries including Georgia, FYRO Macedonia, Russia, Moldova, Tunisia, Albania, Kosovo, Serbia, Italy, Spain, Morocco, United States, Angola, Azerbaijan, United Arab Emirates, Bulgaria, Algeria, France, Ghana, South Africa, Netherlands, Iran, Iraq, Tajikistan, Germany, Turkmenistan, UK, Kenya, Libya, Lebanon, Egypt, Nigeria, Romania, Saudi Arabia, Jordan, India and Greece. Spread out over 14 halls and 120,000 square meters of exhibition space at TÜYAP, İSMOB 2016 was a showcase for the best that the Turkish furniture industry had to offer for export to almost 200 countries worldwide. Turkish furniture brands revealed their latest breakthroughs and innovative designs, proving once more that the brand value of Turkey in the furniture industry is rising. From technological seats to breathable, self-cleaning mattresses, ergonomically-designed seating arrangements and kids-themed bedrooms, the vast variety of products available at the fair impressed visitors. 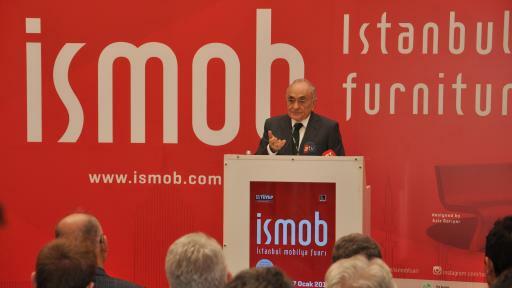 İSMOB 2016 was sold out months in advance, and the 13th edition of the fair will also be held at the TÜYAP Fair and Convention Center from January 10th to 15th, 2017.